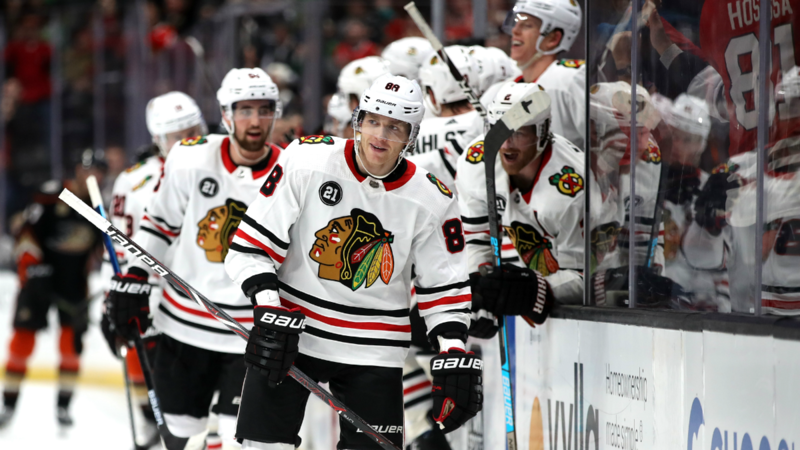 The Chicago Blackhawks are going to have to get their passports ready for an early season trip to kick off the 2019-20 campaign. That’s because the team will open the regular season against the Philadelphia Flyers in the Czech Republic capital of Prague on Oct. 4, the Blackhawks said in a statement. The season opener will take place at 2 p.m. CST at the O2 Arena in Prague, the team said. They will also conclude the 2019 preseason in Europe days before, with a game in Berlin, Germany, against Eisbaren Berlinat 1:30 p.m. CST on Sept. 29. Tickets to both games, which are part of the 2019 National Hockey League Global Series, will go on sale to the public on March 27. “Participating in marquee National Hockey League events like the NHL Global Series is always something the Blackhawks organization does with great honor,” said Blackhawks President and CEO John McDonough said in a statement. “Similar to the last time we played in Europe in 2009, there is a lot of excitement surrounding the Blackhawks and this is a great opportunity to share that passion with our fans across Europe,” he added. The Blackhawks last opened their season in Europe in 2009, when they played the Florida Panthers in Helsinki, Finland. The Blackhawks split the two games with the Panthers, as they lost their first game and won their second, a 4-0 victory with Antti Niemi in net. The upcoming trip will also be a sort of homecoming for two current Blackhawks players, as forwards Dominik Kahun and David Kampf were both born in the Czech Republic, the team said.